Fly from the UK to Bucharest. Be met on arrival and transferred to your river ship in Giurgiu. Enjoy a Welcome Dinner on board. FREEDOM OF CHOICE: Travel to Veliko Târnovo for a city tour. Or perhaps visit the World Heritage-listed Rock-Hewn Churches of Ivanovo. Cruise through one of Europe’s most aweinspiring natural wonders, the Iron Gates. 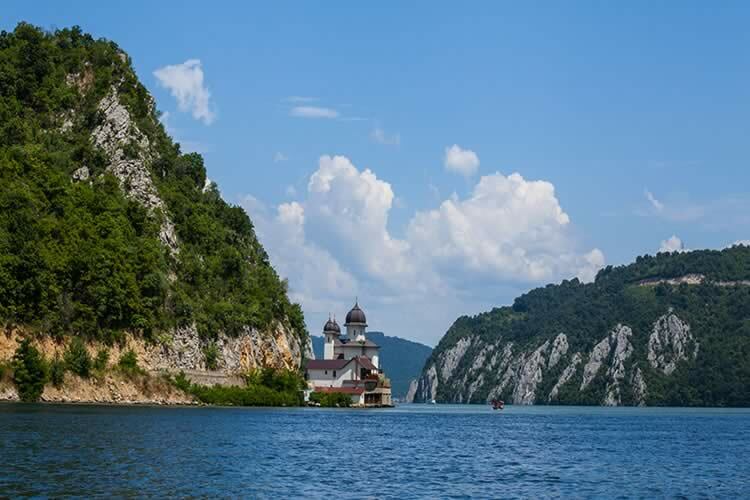 Here the Danube narrows as it winds through a series of magnificent gorges between Serbia and Romania. FREEDOM OF CHOICE: Today, visit the landmarks of the Yugoslavian Civil War in Vukovar. Or, wine enthusiasts will delight in a visit to Ilok for a wine tour, where fertile soil has been ideal for winemaking since the 16th century. SIGNATURE EXPERIENCE: Immerse yourself in Hungarian culture today with a visit to Kalocsa, a historical town on the Danube River. See local handicrafts and porcelain at the Folk Art House, and visit a paprika manufacturer – a famous export of the region. Later, visit a farm in Puszta for a traditional horse riding show followed by lunch. Here, watch as talented horsemen make their horses drop to the floor, sit on command and gallop around the ring, before completing their signature move the ‘Puszta-5’ – in which a single horseman controls a team of five horses, all whilst standing on the backs of the rear two. FREEDOM OF CHOICE: Today, reach Budapest and discover one of the Danube’s most beautiful cities. Why not join a local guide for an exciting tour of the enchanting city. Alternatively, the active may like to hike to Gellért Hill, or treat your taste buds to a culinary walking tour at Great Market Hall. After a final breakfast on board, it is time to bid farewell as you disembark your luxurious river ship for the last time. You will be transferred to Bucharest airport for your return flight to the UK.